We would like to thank FSP Group for supplying the Aurum Gold review sample. 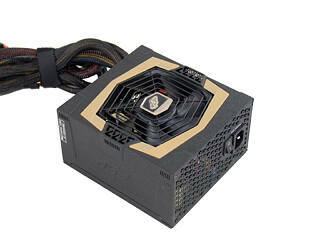 FSP Group is one of the few PSU OEMs (Original Equipment Manufacturers). Besides lending their platforms to other companies they have also a retail presence in the market since 2003. The company was established in 1993 and its headquarters are located in Taiwan. Their major products, besides PC power supplies, are industrial and open frame PSUs, adapters, medical and LCD TV power products, Uninterruptible Power Supplies (UPS) etc. Currently FSP Group is the 5th largest power supply vendor in the world, which means that they are a pretty large company. Recently FSP enriched their Aurum series with three units of 550W, 650W and 750W capacity. The main difference between the new units and the older ones, with nearly similar capacity, besides the small power increase is the addition of the modular cabling system. So internally the modular Aurums share the same design/platform with the non-modular Aurums. In today's review we will take a look at the FSP Aurum CM Gold 750W (AU-750M here after) and find out if the addition of the modular cabling system justifies the price difference with the Aurum CM Gold 700W. In a quick look the AU-750M features Gold efficiency, four +12V rails, low profile flat modular cables for easier cable management, four PCIe cables and a 120mm FDP (Fluid Dynamic Bearing) fan.